The Condor Summit is designed for comfort and utility. 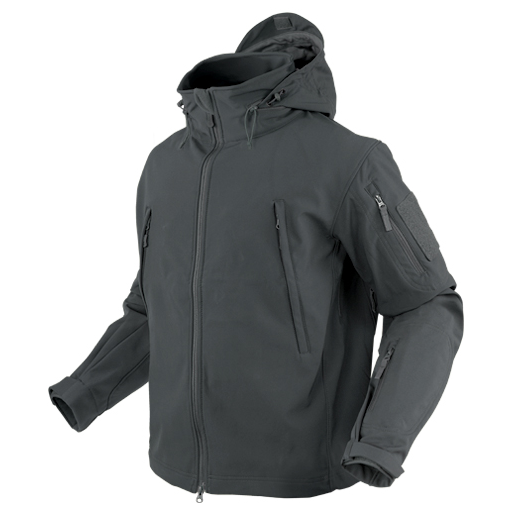 The three layer integrated shell with its water resistant fabrics wicks moisture, while maintaining body heat. 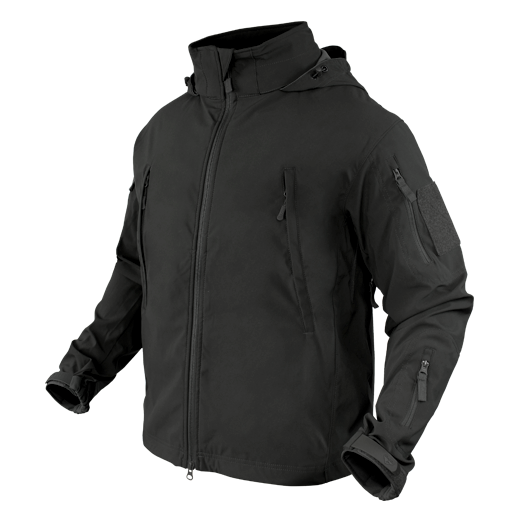 Equipped with underarm vents for temperature control, reinforcement on the forearms, and multiple pockets for utility and storage make the jacket comfortable and versatile. Also available in a lighter version, the Summit ZERO, for warmer climates. – Outer Layer: 100% polyester, 4-way elastic, high density fabric with DuPont™ Teflon® Coating. – Mid Layer: breathable film membrane. – Inner Layer: 150 g/m² 100% fleece. The Summit Zero answers the call to carrying all that you need without being bogged down by the weight of the jacket itself. Designed to have increased articulation, comfort, and breathability when in the field, Summit Zero’s feather weight construction reduces weight by 30% compared to the traditional Summit, while still providing much of the same protection. 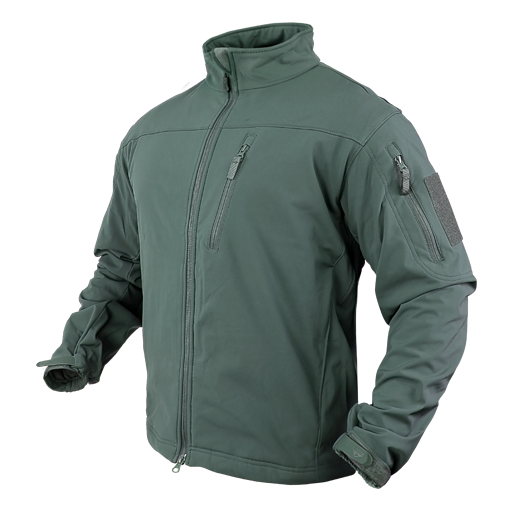 – Outer Layer: 100% polyester, 4-way elastic, high density fabric. 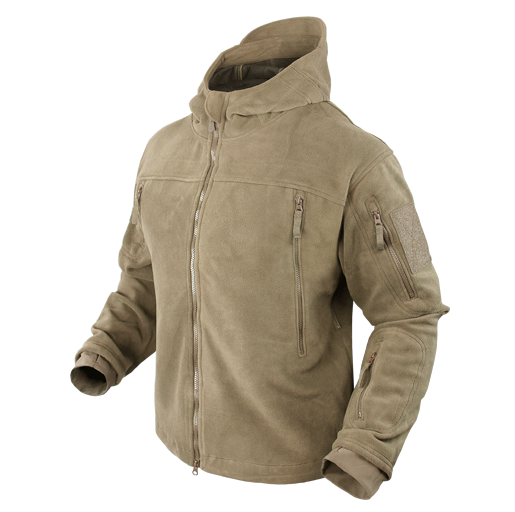 – Inner Layer: super fine fleece. 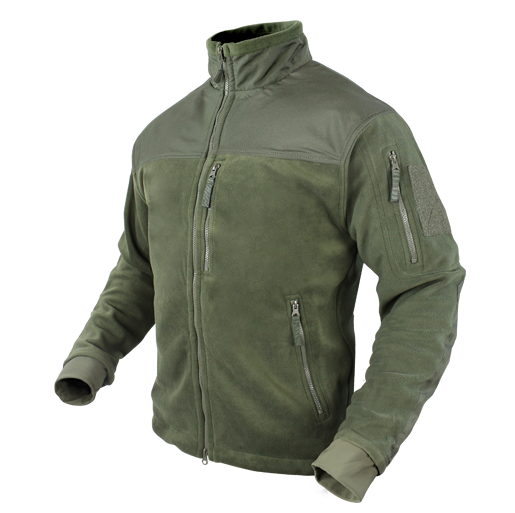 Outer shell: 285 g/m² 100% polyester fleece with mesh lining, with oxford reinforcement.